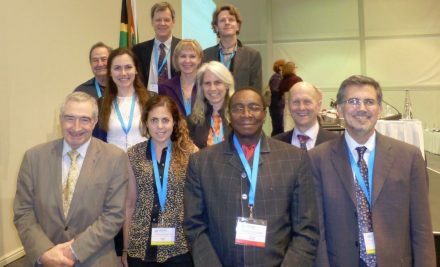 Photo of Sir Nigel Rodley with PRI and other delegates at the Intergovernmental Expert Group on the revision of the UN Standard Minimum Rules for the Treatment of Prisoners in Cape Town, 2015. Penal Reform International is deeply saddened to hear of the loss of Professor Sir Nigel Rodley, a founding member of the organisation, after he passed away yesterday, on 25 January 2017, in Colchester, UK. Alison Hannah, PRI’s Executive Director comments: “Sir Nigel Rodley will greatly be missed. His contribution to penal reform and the human rights movement is enormous and recognised worldwide. Both professionally and personally he was a consistent supporter of our work, invariably positive, responsive and supportive. He always wanted to do more to help us; even apologising during his final illness that he regretted not having been able to play a greater part in our development. He was a true friend and an irreplaceable human rights advocate’. Essex University have opened a tribute page for Sir Nigel Rodley available here.